In between BookFest St. Louis author events, be sure to check out the McPherson/Euclid Avenue festival zone, featuring live music, demonstrations, book sellers, local artisans and more! Open 11 a.m. to 6 p.m. on Saturday, Sept. 22. Festival-goers will enjoy music from Farshid Etniko, Mt. Thelonious and Sarah Jane & The Blue Notes while they color Central West End scenes (adult and kid-friendly coloring pages available! ), craft poetry on a giant magnetic board and stroll through more than two dozen booths featuring book-themed crafts available for purchase and a variety of family-friendly activities. If you work up an appetite during BookFest St. Louis, be sure to check out the dine-in and grab-and-go options available at one of the Central West End’s numerous restaurants. Dressel’s Pub, Mission Taco Joint, Pi Pizzeria, Evangeline’s Bistro & Music House and MaryAnn’s Tea Room are all located inside the festival zone, while other great options — full list available here — are all within walking distance. 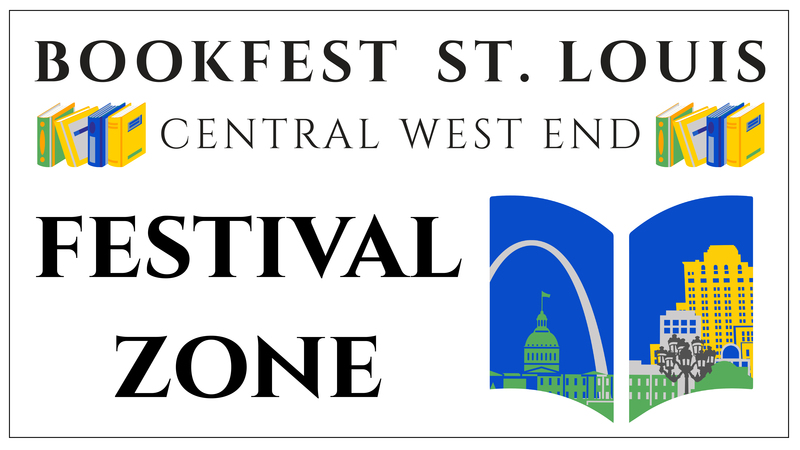 The BookFest St. Louis festival zone is free and open to the public.